CAGED System Explained – Is It Worth Learning? Today’s post is all about the CAGED system. You may or may not have heard of this term before, however, the acronym “CAGED” essentially stands for the 5 major chords: C – A – G – E – D. There is some controversy out there debating whether or not learning the CAGED system is advantageous or not. That’s why in this article, I’d like to go over exactly what the CAGED system is, what it’s used for, and the pros and cons of learning it. Hopefully, by the end of this post, you’ll be able to make an informed decision for yourself, based on this information, whether or not you should learn the CAGED system. What Is the CAGED System Used For? Should You Learn it or Not? As I’ve mentioned above, the CAGED system derives its name from the 5 basic open chord shapes: C – A – G – E – D. The purpose of learning this system is to provide you with a clearer depiction of how the guitar fretboard works. It should be noted that this system only works in standard guitar tuning. 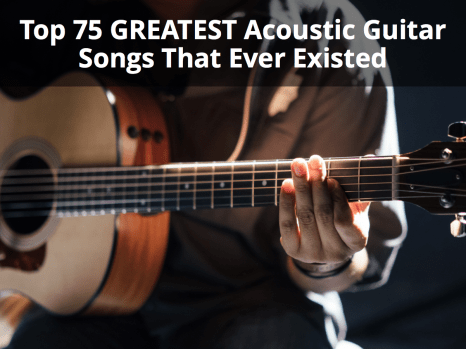 As you may or may not already know, depending on your level of experience, you can play the same guitar chords at various places on the fretboard. The CAGED system provides you with a template that you can use to easily find where you need to be in order to play the same chord in a different place on the fretboard. Now you may be saying to yourself “great but how will I remember what chord shape I need to make in order to play a D major for example in a different location on the fretboard?”. Well, that’s easy, using the CAGED system, you just need to know the shapes of the 5 basic open chords (C – A – G – E – D). The rest is just knowing which fret to start on. This will become much clearer with an example. This first step in learning how the CAGED system works is knowing the shapes of the 5 basic open chords that make the acronym. If anyone needs a quick refresher on what each chord shape looks like, I’ve included a chart of each chord below. Now that we know what our 5 chords shapes are, we can start plotting these on the fretboard. For this example, we’ll be starting in the key of C, therefore the chord shapes will progress naturally from C to A to G to E to D and then repeat. However, if we were to start in the key of G for example, then the order would be G – E – D – C – A and repeat. The trick to plotting these chord shapes on the fretboard is to find the lowest root note of the particular chord shape and then start from there. For example, to use the A shape to play a C chord we know that the lowest root note for the A chord is located on the open 5th string. Therefore, we need to find where the C note is on the 5th string of the fretboard. If you aren’t familiar with the notes on the fretboard yet, you can reference the diagram below. As we can see, the C note on the 5th string is located on the 3rd fret. This means, to play our C chord, using the open A chord shape, we will need to start on the 3rd fret of the 5th string and then form the shape from there. Since the open chords above have open notes, you’ll need to turn these into closed-chord shapes. Simply barre the open notes as you move along the fretboard in order to transpose the chords properly. Read more about playing barre chords. This results in the following chord shape. That’s how we play the C major chord using the A major chord shape. Now let’s move on to the next chord in the list: G major. To play C major using the G major shape, we follow the same principle. Find the lowest root that G major uses (which is G located on the 3rd fret of the 6th string). Now that we know our starting point will be on the 6th string, we find where the C note is located on that string, which is on the 8th fret. Now we can use that as our starting point and simply plot the G open chord shape from there. Hopefully, the basic concept of how to use the CAGED system is becoming a little clearer by now. Try to use the same concepts as above and plot the remaining 2 chord shapes on your fretboard to play in the key of C. Hint: the E major shape will begin at the 8th fret on the 6th string and the D major shape will begin on the 10th fret of the 4th string. The image below gives a high-level view of all 5 chords plotted on the fretboard using the CAGED system. I’ve highlighted the lowest root note in green to show which note you’ll start on for each chord shape. You should now have a better picture of how the CAGED system works in the key of C. You really just need to follow the same process for any other key but it may be easier to visualize if we go through another example. This time, I’ll demonstrate what the CAGED system looks like for a key that’s not part of CAGED collection of chords – the key of F.
For a similar diagram to the one above, this time using the E shape as your starting point on the 1st fret, check out the image below. The CAGED system also helps you with getting a better a grasp of your overall fretboard and knowing where the notes are located. Being familiar with your root notes (especially on the 5th and 6th strings) is extremely important because it opens up a whole new world of playing possibilities. Makes it harder to use arpeggios creatively. In my opinion, of course, these drawbacks are valid points IF the CAGED system is the only thing you learn. However, the way I see it, it is another tool to add to your arsenal. You can take advantage of its benefits when appropriate but break out of it if need be as well. Playing music should not be about sticking to one concrete system anyway, you should always be experimenting and trying out new things. I (and many others) believe that the CAGED system is a valuable concept to learn. It really helps you visualize which shapes to use in which locations in order to produce the sound that you want. Furthermore, it uses a pretty basic set of 5 super easy chords that you just need to transpose. I however, would not suggest you try to take on this system right from the beginning. 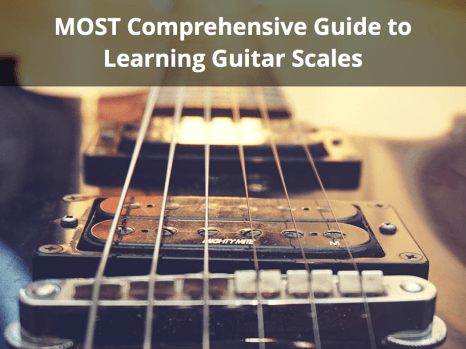 It does require a bit of background information such as fretboard note memorization and the ability to play barre chords. Although, if you feel up to the task I would certainly recommend learning the CAGED system. Overall, the CAGED system helps “crack the code” of learning where certain notes are located all along your guitar’s fretboard. It takes advantage of 5 simple open chord shapes: C – A – G – E – D that’ll allow you to break out of the cycle of playing what you’re used to. Be creative and give the CAGED system a try. If any of this information was confusing to you or you have a specific question that I didn’t answer, just leave me a comment below.